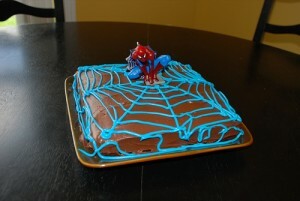 If your children love comics and superhero movies, you can bake a Spiderman birthday cake on their next birthday. 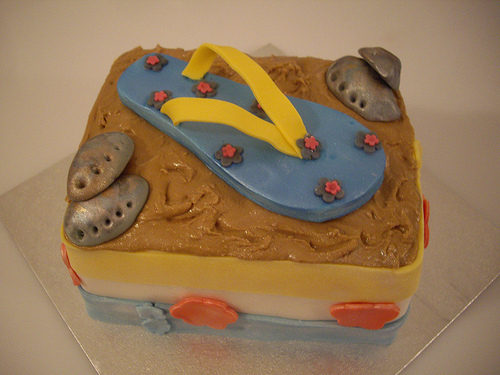 The cake is so much fun and a treat to the eyes as well. 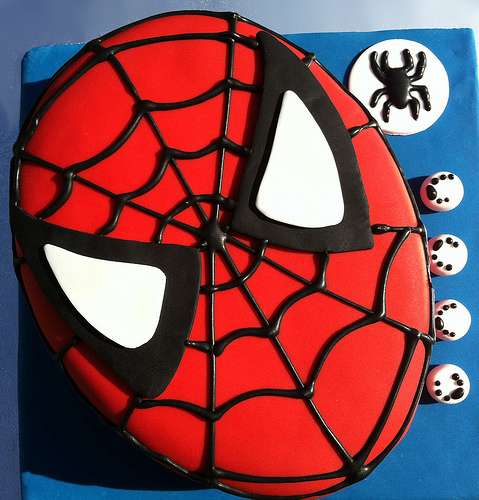 Making a Spiderman cake would be an adventure and a great birthday gift for your child. Start by baking a cake in any shape you want. The flavor is up to you. Choose a red velvet cake, a dark chocolate cake or a cheesecake. The choice is entirely yours. When the baking is done and the cake has cooled off, add some butter cream icing to the cake. Next you can add a few pieces of fresh fruits. Cover the cake with a tinted fondant. Ideally, this should be blue as Spiderman wears a red and blue costume. 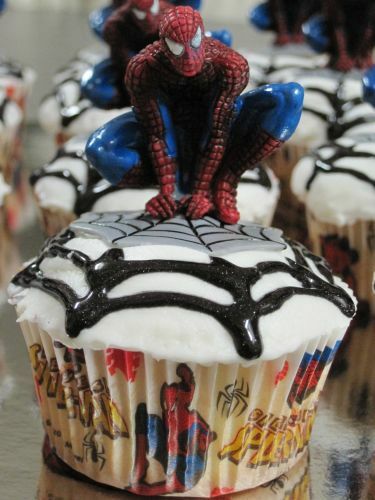 Use some more icing in these two colors along with black and you are ready with a Spiderman cake. Most of the people would prefer to make the mask of Spiderman on the cake. 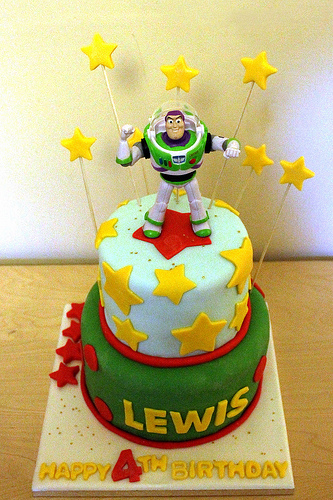 It is simpler and can be used easily for smaller and round cakes. However, if you want something big and the artist inside you is forcing you to make something more colorful, then you should be ready with lots of butter cream, fondant and icing. 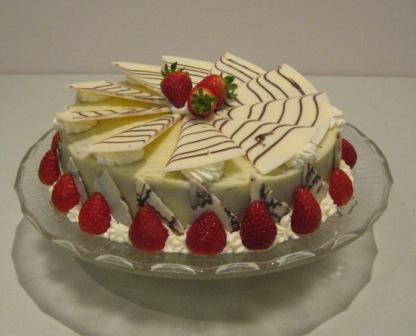 Make sure that you have a picture to inspire you or you may end up messing the cake. Recreate a scene from your child’s favorite comic, but be careful not to cover it in residual chocolate. Make a big rectangular cake. Cover it with some chocolate ganache and then with some fondant. Again it will be great a chose a tinted fondant. You can finally get hold of your icing tubes and make Spiderman swing on the skyscrapers. You can also make him fight a bad character or simply hold a cake in hand saying happy birthday to your child. 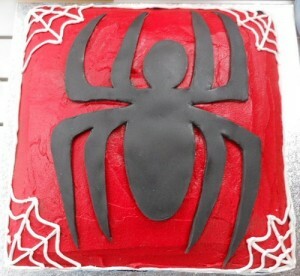 Another idea for the people who know cake sculpting is to make a ‘cut-out’ Spiderman cake. 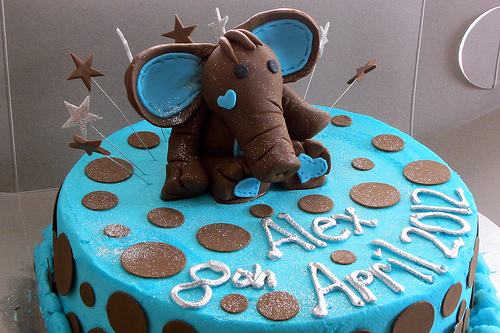 This would take more of careful sculpting than coloring but the cake would look very beautiful. On the other hand, if you do not want to make the mask or costume of Spiderman, you can choose the next best thing Spiderman has. It’s his web. Simply bake a cake of your choice and use some maple syrup and chocolate syrup over a super-spongy base covered in some gooey ganache and make those wavy spider web lines all over. That’s it. The cake would look fabulous. It will actually look like spidey came over to make the cake himself.